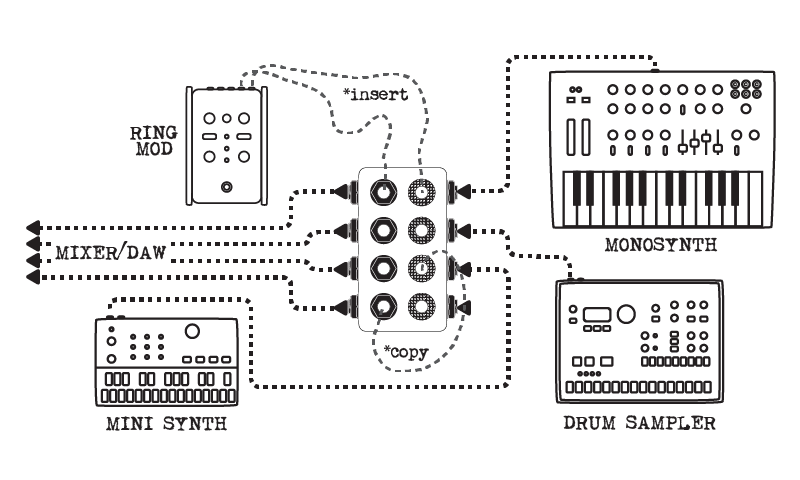 The Terminal adds routing flexibility to signal chains of guitar pedal effects, electronic instruments and other audio devices. Are you playing with your cables more than your pedals? The Terminal adds new routing possibilities to a more permanent setup. 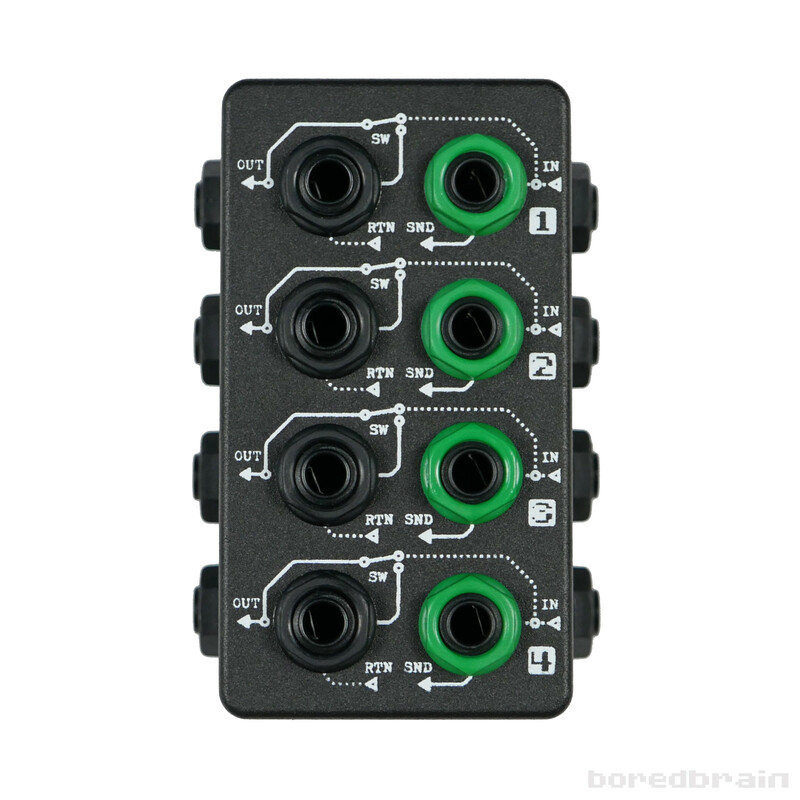 Its half-normalled wiring, which is also used in recording studio patch bays, allows an audio signal to pass "normally" and to be copied from the Green SND jack without interruption. However, the signal can also be cut off or replaced by patching into the RTN jack. 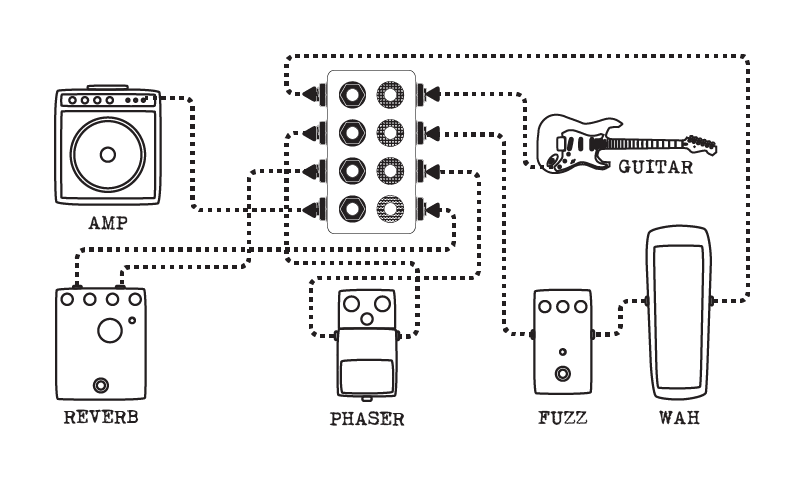 It's easy to insert effects and re-route instruments without pulling your rig apart. This simple but very useful design was originally a custom project for musician Tycho, who is using Terminal in his studio and live rigs to quickly patch between sections of pedal and instrument chains. 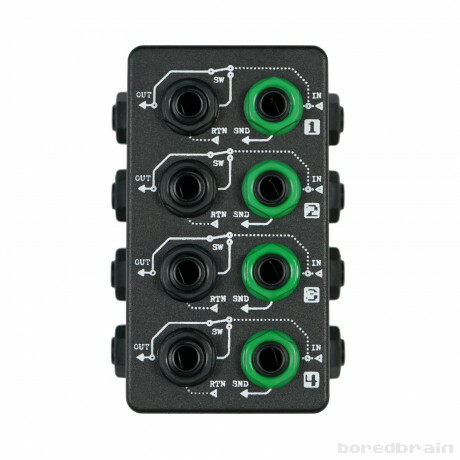 Community interest in the product has led Boredbrain to produce Terminal in limited batches. Each unit is hand-built; from drilling and printing to wiring, soldering and assembling. Herzlich Willkommen bei Effekt-Boutique.de. Wir versuchen die nette Boutique-Alternative zu großen Musikwarenhäusern zu sein und dir alles für einen wahrlich individuellen Sound zu bieten. Diese Webseite benötigt Cookies um alle Funktionen dieser Webseite zu benutzen. Weitere Informationen finden Sie auf unserer Datenschutz Seite. Um Cookies zu akzeptieren, klicken Sie bitte auf den Button unten.